This is just one of ten pages that can be yours if you sign up with the Mormon Cartoonist Activity Page Newsletter. But as I've highlighted my missionary strips and single-panel gags, I've ignored another huge aspect of my cartooning on this site. My work has been featured in dozens of issues of the Friend, I've published two books with 90+ activity pages, and I've done over a hundred coloring book pages for the LDS Coloring Book app; and yet outside of a conference packet featured twice a year, none of my activity pages or puzzles are featured on this website. To rectify this situation, I'm introducing the Mormon Cartoonist Activity Page Newsletter. Please notice the banner to the right of this post. 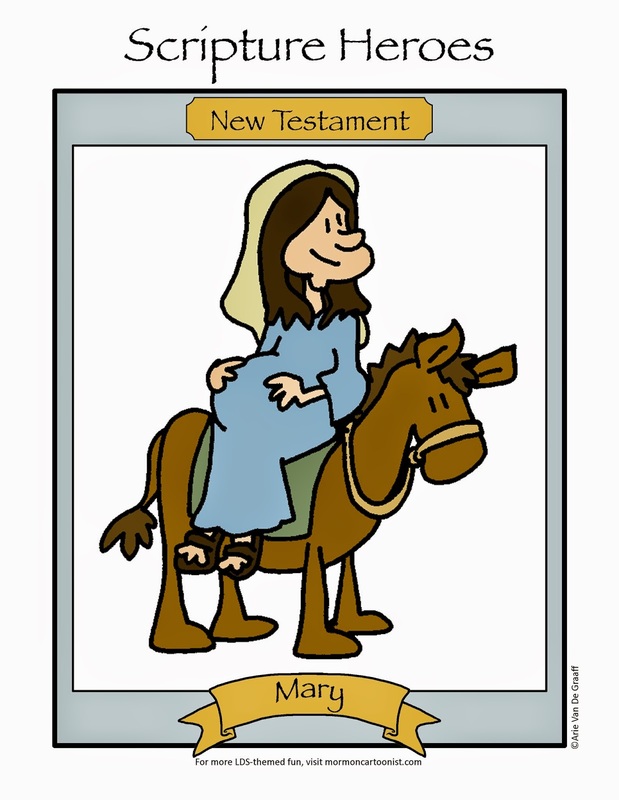 ** By signing up with this newsletter, you'll receive a printable activity page every week that you can use in your primary class, as a sacrament meeting quiet page, or a supplement to a Family Home Evening lesson! As an incentive to sign up, I'm offering a ten-page New Testament scripture heroes package to anyone who registers in the next week. The first newsletter will be delivered to inboxes on Friday, January 9. *And a wholly appropriate way, too. We don't call it the Great Plan of Happiness for nothing. **I know it's ugly, I'll try to pretty it up in the days to come. Interesting concept... whilst I don't teach Primary (at the moment) or have difficulty sitting through a Sacrament meeting without distractions, I'll still sign up - you never know when such wonderful sketches may come in useful! Thank you for sharing... alas my cartooning days are long gone since a stroke, but I enjoy yours and drop by at least once a week to see what you've come up with next! My kids are going to love this newsletter. I've been reading your blog for quite awhile and have enjoyed so many of your comics. Awesome! With 4 little ones, we're always looking for things to keep them quiet during sacrament.